The Bead Coalition has launched a bracelet for HIV/AIDS. The striking red beaded accessory is handmade by previously disadvantaged women in rural South Africa. 20% from the sale of each of the recommended retail priced bracelet is paid to Pledge a Portion – a registered Non-Profit Organisation, Public Benefit Organisation and a Section 21 Company. The charity fundraising business initiatives are based on a concept of ‘embedded giving’ and building a charitable gift into an unrelated, financial transaction. 468 HIV/Aids bracelets have been sold, to raise vital awareness of HIV/ AIDS and to date the amount of R3,744.00for beneficiaries via Pledge a Portion. Bracelets have sold predominantly through CNA, one of South Africa’s oldest retail brands, with over 200 stores nationwide. South Africa is believed to have more people with HIV/AIDS than any other country in the world, and this bracelet is a tangible expression of support and solidarity. Wear it to show you care. Purchase your HIV/Aids bracelet at any CNA store, Spar Ferndale, Pick n Pay Fourways or online at www.beadcoalition.com for R40, or call 083 609 1111. Issued by The Bead Coalition T: 083 609 1111 www.beadcoalition.com/ lisa@thebeadco.co.za About The Bead Co. (Pty) Ltd The Bead Coalition [Pty] Ltd is a private commercial business based in Johannesburg. Themed, bespoke, beaded bracelets are designed, and hand-made by previously disadvantaged communities in rural South Africa. The Bead Coalition (Pty) Ltd, the beaded bracelet company, headed by entrepreneur Joanne Lapin Thorpe, has secured the license to launch an official, licenced supporters bracelet for proud Cricket SA fans. The African accessory is hand-made by previously disadvantaged women in rural South Africa. Being ‘Proudly Protea’ has never been simpler, with a yellow and green beaded bracelet showing your true colours, all day, every day.South Africa is a proud cricket nation, The Proteas only sweat emotion, deliver commitment, practice humility and project pride. This is the substance of our men and women’s national teams. They are the heroes of our nation, dedicated to building the foundation of cricket for generations to come. 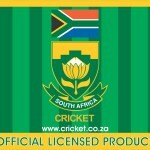 Visit www.cricket.co.za for news and updates. Purchase your Cricket SA bracelet at selected Pick n Pays, Meat World Northcliff, any Sneakers stores, or online at www.beadcoalition.com for R40, or call 083 609 1111. 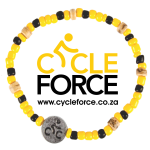 From the sale of hand-beaded, yellow and black CYCLE FORCE bracelets, The Bead Co. has proudly donated R104,060.15 to Qhubeka in a year. This helps fund more bicycles in communities, to mobilise people and change lives. Qhubeka Buffalo bicycles are made in SA, and distributed through Wildlands communities via a barter model where people exchange 100 trees or 1,000kg of recycling for a bicycle. Each bicycle comes with a helmet, cable lock, and pump. 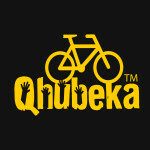 The Qhubeka initiative seeks to empower communities by donating bicycles, breaking the cycle of poverty while investing in the youth of South Africa. Children receive a new, durable Qhubeka bike. Designed by World Bicycle Relief for the harshest African conditions, each bicycle is constructed locally, creating additional jobs in vulnerable communities. The Bead Co. bracelets are made in a rural beading community in NW Province, thereby supporting local employment.